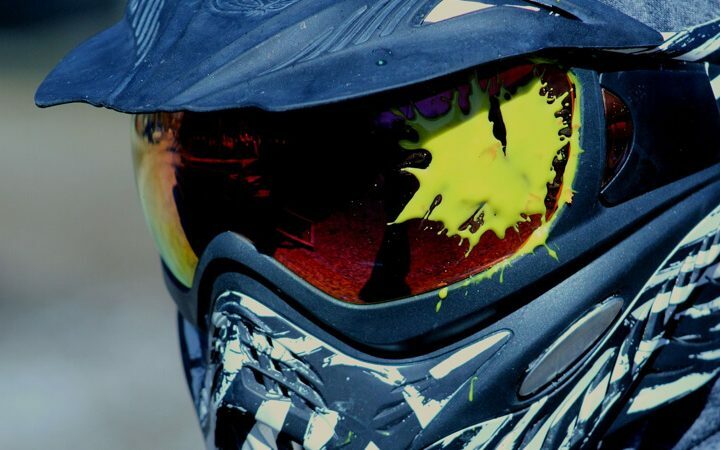 When you’re doing outdoor recreational activities like airsoft or paintball, body armor can save you a good deal of pain later on. 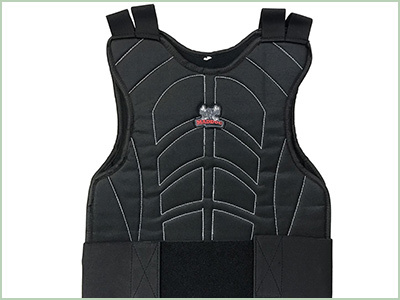 Finding the right protective gear can take time, so we did some in-depth reviewing of seven of the top body armor to aid in your search. We kept in mind certain significant features when including armor in our list such as maneuverability, breathability, amount of protection, and comfort. Other aspects we’ll touch on include whether it has extra storage. 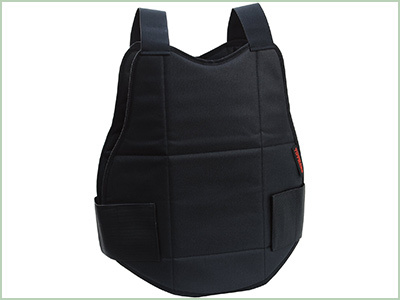 We included a variety so that you can find the best body armor for your needs. TMS Full Body Armor Protector scores a 3.6 out of 5 with many commenting on how it grants you cover from all sides. 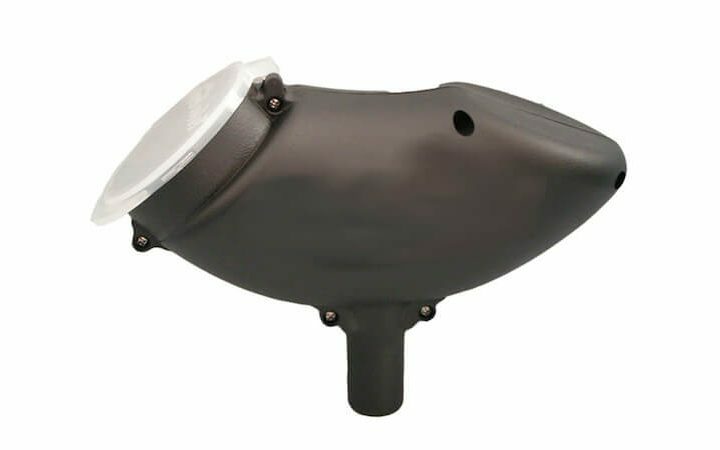 The reinforced plastic is of high-quality and it’s able to take good damage while keeping you safe. If desired, you can remove the spine and tail protector. This may help your ability to move freely. To keep you cool and dry, the armor uses a lyrca/mesh net fabric. Adjusting it all is made easy with the Velcro straps on each pad and a wide elastic belt. Take care with the Velcro though as it can stick to other fabric. This armor also comes in three sizes to provide you with more options. It has been noted though that the TMS Armor Protector tends to run very small. In order to get a good fit, consider buying one or two sizes larger than your normal size. The Valken Impact Chest Protector has t-shirt style design so you can wear it comfortably on its own or with other shirts or jackets. It comes available in several different sizes, broadening how many people can actually wear it. Rated 3.7 out of 5, this Chest Protector has strong padding that is perforated throughout the shoulders, upper arms, and torso. The sides lack any padding, however. Even so, there is stretch mesh vents in the fabric so that you can remain comfortable and cool while you enjoy yourself outdoors. As for how well you can move, the armor shouldn’t inhibit you in any way. The design intends to give you full range of motion no matter what it is you’re doing. When you wear the Empire Paintball BT Chest Protector, you are getting full-core protection. There is padding on the chest, shoulders, back, and outer arms. The padding is high in density to offer extreme protection. Given an overall rating of 4.0 out of 5 stars, many users see the BT Chest Protector as the best body armor that does a great job of keeping you cool. The padding is perforated to aid in providing ventilation. You should be able to wear this in warm weather without feeling uncomfortable. The stretch panels underneath the arms and down the sides are moisture wicking as well to keep you dry. With the gaps in the padding, however, it can take away some of the protection. Also, the body armor is designed to be worn underneath clothes. It can run big though, so consider that if you purchase this. 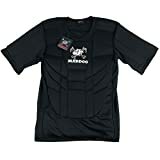 The Maddog Padded Chest Protector may not be available in different sizes, but it does feature elastic shoulder straps and an adjustable side strap to help it fit well. You can choose from a solid black color or a reversible woodland camo style. Overall, the body armor is light in weight. It covers your front and back well, and it manages to soften the impact from the likes of paintballs. Though it has some decent flexibility, it can feel stiff if you try to do things like crouch. Users have given this an overall 4.1 out of 5 stars. It’s easy to put on and adjust, and it offers an adequate amount of breathability since the sides are open. GXG Deluxe Tactical Vest is made contoured so wearers can get a comfortable, easy fit. It’s a “one-size-fit-all” design, but can be adjusted. Much of the customization comes with the pouches, which are ideal to help you carry around more of your gear. You can change their height and position to access them quicker on the field. 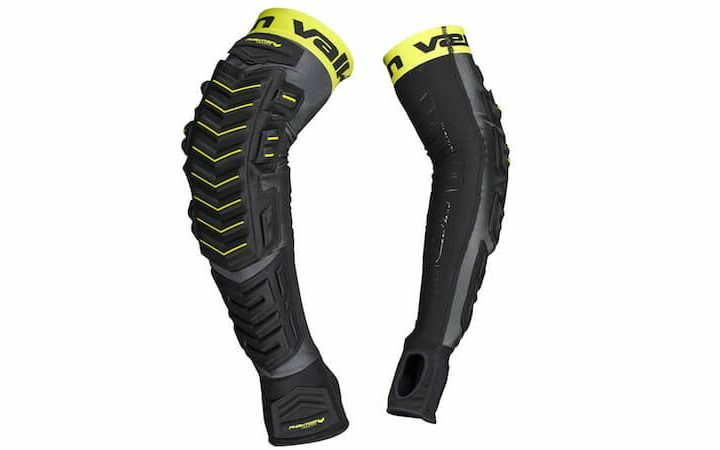 This body armor provides you with good maneuverability for light action outdoors. You may not be able to slide around well, but you still get decent performance while wearing this. Users have given this a strong 4.1 out of 5 star rating for a reason. With the extra storage, it can come across as bulky, but it does allow for great protection. It doesn’t feel cumbersome to move around in either considering its size. Do be aware that the material can get a little hot; it can be comfortable in colder weather, but not so much in the heat. A versatile armor, the Tippmann Padded Chest Protector has a good light feel to it to keep you from feeling weighed down. You should be able to get some good flexibility out of this as well. Even when you crouch, the armor stays put and doesn’t press uncomfortably against your neck. It is made as a “one-size-fits-most” and it comes with easy-to-use adjustable Velcro straps. The Tippmann body armor is made from padded foam. For some though, the protection may be a bit thin, so it may better serve you better long-distance rather than close-range. For durability-sake, the body armor is double stitched so it can hold up longer than most. It carries a strong 4.2 rating overall. Take note that it may fit better on shorter individuals as it may not fully cover taller people. If it’s a tactical appearance you’re after on top of protection, the Maddog Sports Tactical Harness Vest is the best body armor for that. You have immediate access to your compartments if you want to carry extra gear around. The shoulders can get a tad heavy because of this though. You have more freedom of movement as this armor is designed with comfort in mind. It does hold a high 4.7 out of 5 star rating, indicating how favored it is. For personalization, you can choose from two color designs: a standard black or a bold camo style. When it comes to actual protection, the vest is made with interior foam. It provides a good deal of cushioning to hold off moderate impact damage. The material overall is stitched well for added longevity. We took a look at seven different armors to find the best body armor that offered good protection, comfort, freedom to move, and could breathe well. 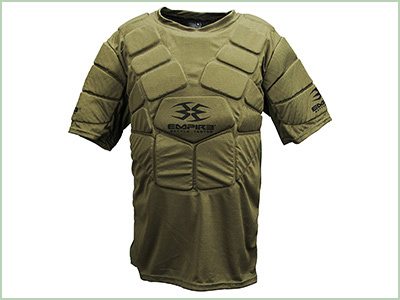 Keeping that in mind, we feel the Empire BT Chest Protector is one of the best of the bunch. It grants enough protection throughout the upper body without constricting movement. The armor even offers great breathability so that you can push yourself in it without worry. Do you agree with what we’ve chosen? Tell us your thoughts in the comment section! I’ll chime in if you don’t mind. The TMS Full Body Armor Protector is really good, as it keeps you well protected but let’s face it It’s ugly AF. I wish they would be able to make this one a little nicer looking. Yea, we know what you mean. Solid gear does have a tendency to look a bit iffy. On the other hand, would you trust body armor that’s a bit too fancy? 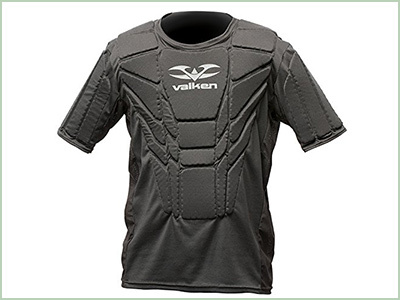 It’s quite shocking that the Valken Impact Chest Protector got such a low rating. I was under the impression is was one of the better vests around. However I do like it so I will be more biased. I admit that. Thanks for sharing your opinion. We consider the other options more reliable than the Valken. That is not to say that the Valken chest protector is not good, it’s just not the best according to our research. 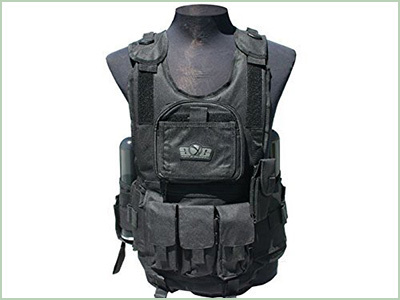 The Maddog Sports Tactical Paintball Harness Vest is a pretty cool body armor. It is not only effective but it looks good too whereas some of these body armors look very tacky. Definitely not this one at all. The makers got this one right. Thanks a lot for your feedback! 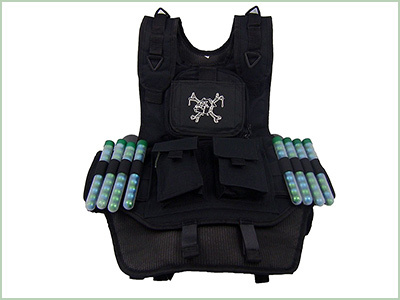 We also consider the Maddog vest a great addition to every paintballer’s collection. Safety first! The GXG Deluxe Tactical Paintball Vest, in my opinion, is the best type of body armor to use while you are paintballing. It is quite safe and I find it to be quite comfortable. It is also quite affordable as well. We agree it has one of the best value to price ratios among the body armor we’ve looked at. The best one in my books is the Tippmann Padded Chest Protector because not only is it very effective and protective, but it is stylish too. Both are just as important as fat as I am concerned even though some may disagree with me. Thanks a lot for the feedback! We agree, safety comes first, but style is also important :). Why get all bent out of shape over the fact that the TMS Full Body Armor Protector is not exactly the most beautiful thing on the planet. How about the fact that it keeps you protected and safe better than most others around. I noticed that the TMS Full Body Armor Protector did not get the best rating but I have to say for my needs it is quite good, and I have purchased several as well in order to get the sizing right. I am on a weight loss regimen so I will keep slimming down. 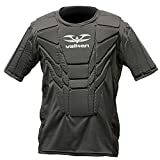 The Valken Impact Chest Protector is quite good as I find that it does its job well, and I am not sure why it did not get a higher rating but I guess others did not like it all that much for whatever reason. Well, there were some minor complaints againts the Valken. These may just be very subjective issues. At any rate, we consider all of these armors top notch, so if there are any differences between them, they are minor. I personally found that the Empire Paintball BT chest protector was the most comfortable body armor to wear during any paintballing session. I read that some found that the safety of this one isn’t great but I disagree with that. It’s quite durable and protective. My recommendation for getting the best body armour when you are paintballing is the TMS Full Body Armor Protector hands down. And I am disappointed and stunned that it only scored 3.6 out of 5. That is pretty harsh because it’s a great product. The Maddog Padded Chest Protector is quite good as even though it does not come in many different sizes, it is made to fit you regardless. I found this one to be the most comfortable of all of the other paintball body armors around. I agree with what most people say about the BT Chest Protector because it really is the best body armor. You can wear it underneath your clothes which I find to be a little more comfortable since the padding is quite good. I really do like the Maddog Padded Chest Protector because it is very comfortable and affordable. Not to mention, it is effective. 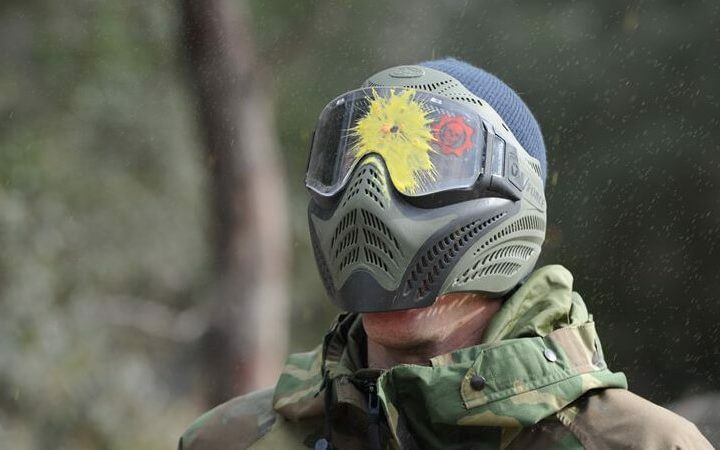 I cannot compare it to the others but I have no reason to switch when I am paintballing. I did not receive that much protection with the Empire Paintball BT Chest Protector, as that was disappointing. I was shocked as well because on the outside it looks like would be very protective with all of its padding but apparently not.